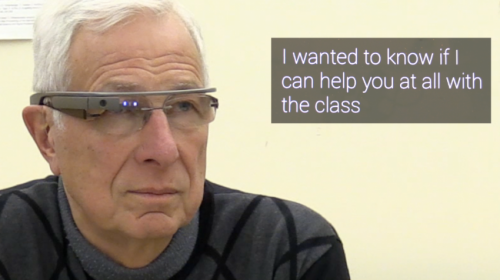 A team of Georgia Institute of Technology researchers has created speech-to-text software for Google Glass that helps hard-of-hearing users with everyday conversations. 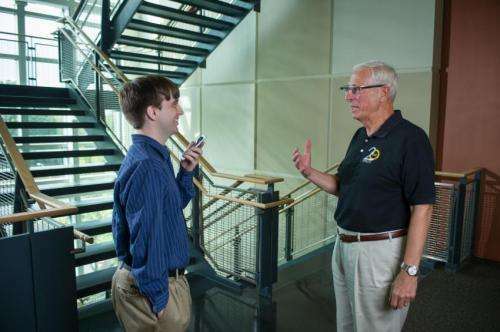 A hard-of-hearing person wears Glass while a second person speaks directly into a smartphone. 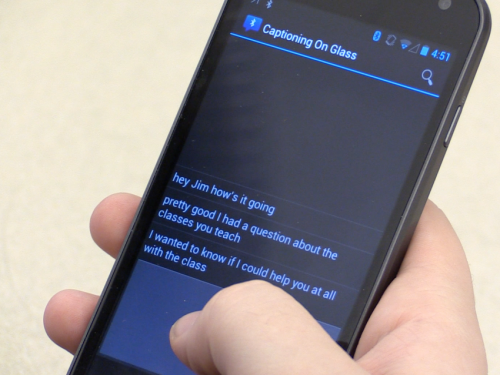 The speech is converted to text, sent to Glass and displayed on its heads-up display. The app just became available for the public on October 2.